Custom Embroidered tshirts and custom made tees. 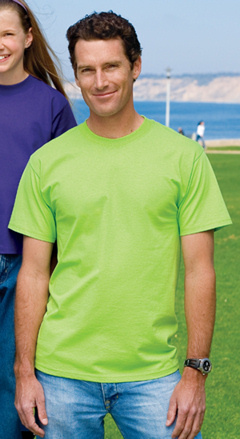 Brands such as Hanes, Gildan, Anvil and Port & Company. Add your custom embroidered logo at no extra charge! 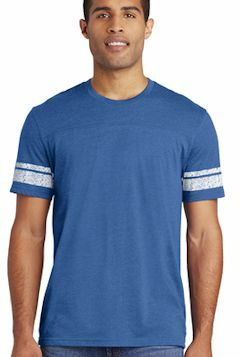 Other features that you will see is Hanes Tagless embroidered tshirt, heavy weight top quality brands each with unique comfort and colors. 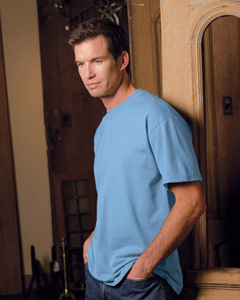 Show of your embroidered logo while being comfortable in any casual setting. Long sleeve, pocket tshirts also available. Custom embroidered G800 Gildan DryBlendT 5.6 oz., 50/50 T-Shirt . 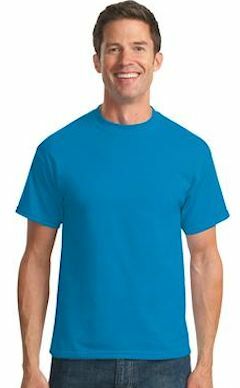 50% preshrunk cotton, 50% polyester; DryBlend® fabric wicks moisture away from the body; double-needle stitching throughout; taped shoulder-to-shoulder; seamless collar . Custom embroidered logo included. Custom embroidered 29M Jerzees 5.6 oz., 50/50 Heavyweight Blend T-Shirt . 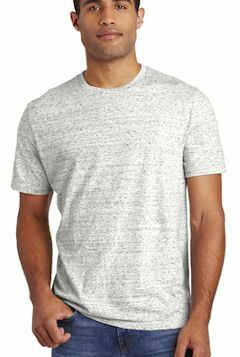 50% cotton, 50% polyester preshrunk jersey; shoulder-to-shoulder tape; double-needle stitched; seamless body for a wide printing area; 1x1 ribbed collar; Oxford is 53% polyester, 47% cotton. Custom embroidered logo included. Custom embroidered G200 Gildan Ultra Cotton T-shirt. 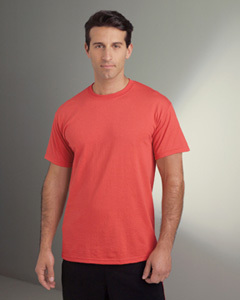 100% preshrunk cotton tee (ash is 99% cotton; sporty grey is 90/10 cotton/poly; dark heather is 50/50 cotton/poly). Seamless collar. Double needle stitched hemmed bottom. Taped shoulder to shoulder. Custom embroidered logo included. Custom embroidered Port & Company® - 100% Cotton Essential T-Shirt. PC61. With its incredible range of colors-not to mention its tremendous value-you're sure to find one that's perfect for your group. 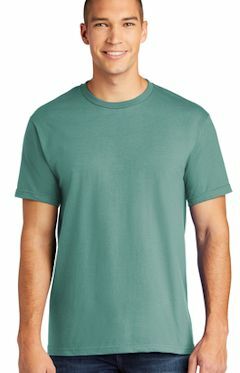 Heavyweight 6.1-ounce, 100% cotton constructed with an exacting eye for quality, Shoulder to shoulder taping, Coverseamed neck, Double-needle stitched hem. Custom embroidered logo included. Tall Sizes Available! Custom embroidered Hanes® - Tagless 100% Cotton T-Shirt. 5250. Top quality, heavy and comfortable. 6.1-ounce, 100% cotton, Tagless for comfort, Double-needle coverseamed neck, Taped shoulder-to-shoulder, Preshrunk to minimize shrinkage,. Custom embroidered Hanes Beefy T T-shirt. 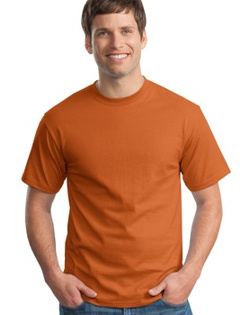 6.1 oz., 100% preshrunk ringspun cotton tee (ash is 99% cotton; light steel is 90/10 cotton/poly). Taped shoulder-to-shoulder. Custom embroidered logo included. Capture the cosmos with the combination of softness and intermixed colors.